Precious Phiri - Senior Facilitator, Africa Center for Holistic Management (ACHM) in Zimbabwe . Precious directs training for villages in the Hwange Communal Lands region that are implementing restorative grazing programs using Holistic Land and Livestock Management. This helps rural communities in Africa to reduce poverty, rebuild soils, and restore food and water security. This nature-based solution has been successfully used on different landscapes in Africa and the Americas. Precious was born and raised in one of the communities now implementing restorative grazing. 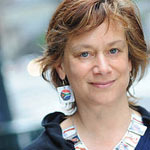 Judith D. Schwartz - Environmental Journalist and author of Cows Save the Planet And Other Improbable Ways of Restoring Soil to Heal the Earth  (Chelsea Green Publishing, 2013). New Yorker writer and author of Field Notes From a Catastrophe: Man, Nature and Climate Change, Elizabeth Kolbert writes: “Judith Schwartz takes a fascinating look at the world right beneath our feet. Cows Save the Planet is a surprising, informative, and ultimately hopeful book.” Judith will discuss innovative approaches to land restoration and climate mitigation as covered in her book. 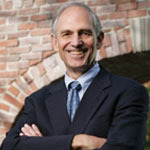 Seth Itzkan - President, Planet-TECH Associates; Advisory Board Member, Biodiversity for a Livable Planet. 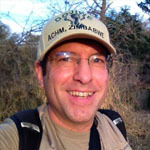 Seth, a consultant on innovations for a regenerative future, has spent ten weeks at the Africa Center for Holistic Management in Zimbabwe. He has given a TEDx presentation , been interviewed by Worldwatch , and written and lectured extensively on the promise of restorative grazing to reverse desertification and capture atmospheric carbon through rapid soil formation. Seth will address the climate mitigation potential of this innovation. This event is part of an evolving series of Creating the Future We Want programs focused on the role of biology in cooling the planet. Sponsored by Biodiversity for a Livable Climate (bio4climate.org ) and Planet-TECH Associates (planet-tech.com ), with support from Somerville Climate Action (somervilleclimateaction.org ).